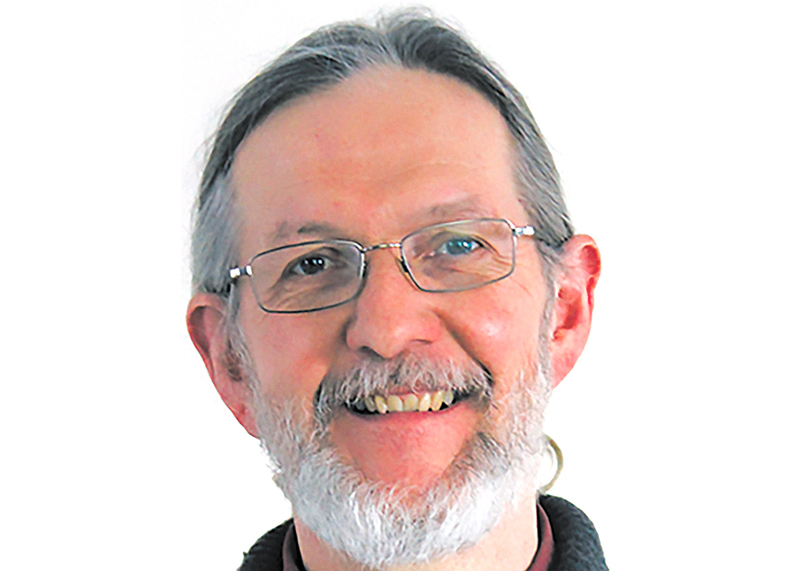 Dave Rogalsky served as Canadian Mennonite's Eastern Canada correspondent for 12 years. He covered news from Ontario, Quebec and the eastern provinces. Over the past 12 years, Dave Rogalsky has been a prolific writer for Canadian Mennonite. Since the summer of 2006, when he was hired as the Eastern Canada correspondent, replacing Maurice Martin, Rogalsky has written a total of 868 articles. That is an average of 71 articles per year and nearly three articles per issue. The editors could always count on him to write more than was expected of a correspondent! He always said that, with more than a hundred congregations in Eastern Canada, he had trouble responding to all the requests. Before coming to CM, he served as a pastor of Grace Mennonite Church in Winkler, Man., and at two Ontario congregations: Poole Mennonite Church near Milverton, and at Waterloo-Kitchener United Mennonite Church. Because the CM writing assignment was very part-time, he continued to serve as a pastor. As well as some interim assignments, he was at the Wilmot Mennonite congregation near New Hamburg for nine years. At present, he is serving as the intentional interim pastor at a Swedenborgian church in Kitchener that approached Mennonite Church Eastern Canada for help in finding a transitional pastor. Over the years, Rogalsky has kept his readers informed about happenings in the regional church and beyond. Most of his articles were reports of congregational, regional church or institutional events, but he also wrote more than 90 articles in the Artbeat section, as well as 17 book reviews. People profiles were a smaller part of his repertoire; he wrote five obituaries remembering the lives of Milo Shantz, A. James Reimer, Ralph Lebold, Ephraim Gingerich and Audrey Langfield. He also submitted many photographs over the years and 15 of them made the front cover. With a commitment to tell the stories of new churches in MC Eastern Canada, he went out of his way to cover emerging congregations, many of them made up of new Canadians. In spite of the language barrier, he was able to describe how these congregations were formed and why they decided to join a Mennonite denomination. Fortunately, he enjoyed attending the regional church annual gathering, as this was an opportunity to connect with these emerging churches. As a theologian and a philosopher, probably the writing he enjoyed most were the features; he contributed to 25 of them in his 12 years with the magazine. Sometimes a feature had multiple writers. At other times he could wax eloquent on such topics as transitional ministry (Jan. 21, 2008), interfaith bridgebuilding (Sept. 20, 2010), Mennonite spirituality (April 4, 2011), atonement (Nov. 11, 2013), and grief (Jan. 2, 2017). Other features that are classic Rogalsky are: “Just what is ‘postmodern’?” (March 5, 2012), “Try a little discernment” (June 25, 2012), and “What is truth?” (Oct. 27, 2014). Given the hundreds of stories that he wrote over the years, it is probably not surprising that now and then readers would respond, critiquing his interpretation of theology or his analysis of how a tense conversation unfolded. He took these comments in stride, viewing them as part of the dialogue.